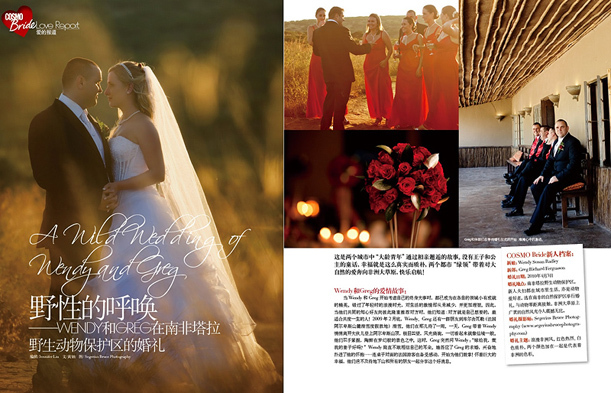 6 page spread in Cosmopolitan Bride China, October issue! 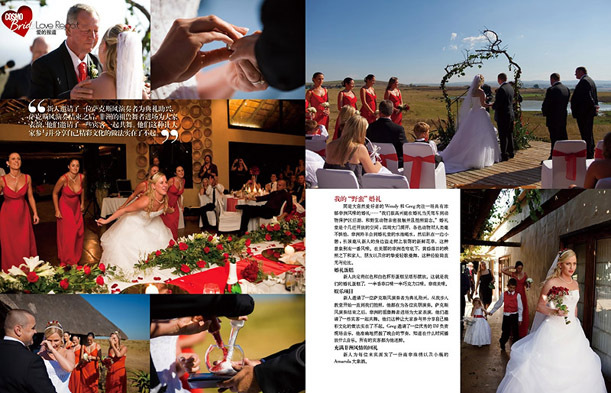 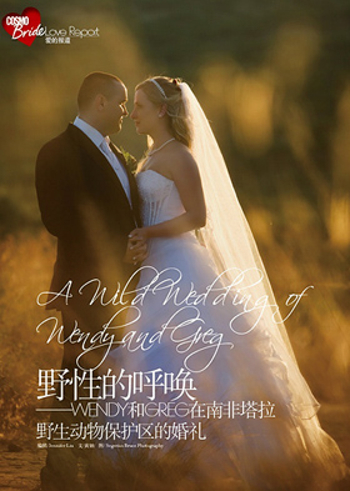 This is Wendy & Greg’s wedding at at Tala Game Reservethat we shot in South Africa back in April of this year. 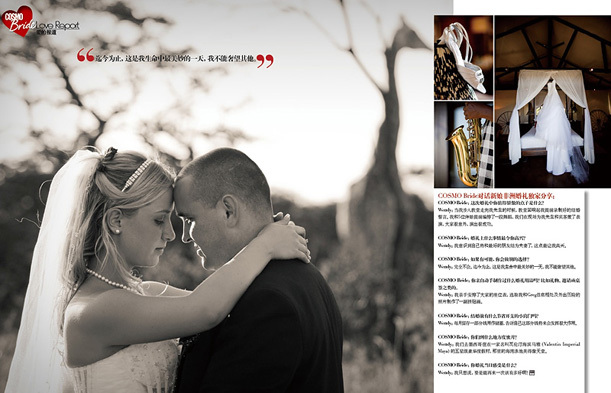 I just love the way the designers lay out the spreads for this magazine.